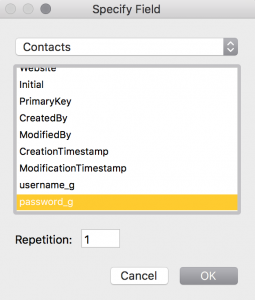 In our last post of this series, we looked at how number and date searches work with the FileMaker search engine. In this post, we will consider searches in fields defined as time or timestamp. A time field can store a time of day or a duration. Behind the scenes, times are treated as the number of seconds since 0:00:00. This greatly aids their use in calculations such as adding a period to a start time, or determining the difference between two times. When subtracting one time from another, the result will be given in seconds. To convert this to minutes, use calculations like result / 60 or Div ( result; 60 ). Time data is entered with a separator character between the hours, minutes and seconds. This is usually a semi-colon (:) but is dependent on the file system formats. 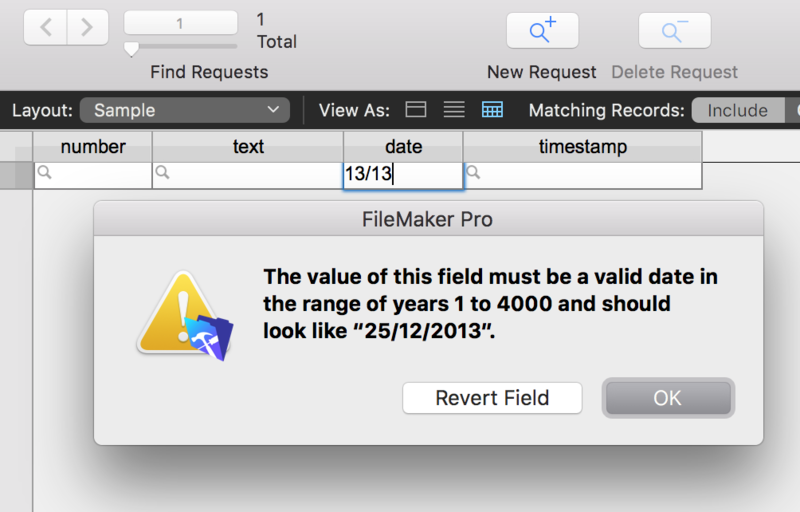 If you enter a simple number into a time field, FileMaker Pro will see that as a number of hours e.g. 3 is 3 hours or 3am, 16 is 16 hours or 4pm. If you need to enter one minute, you should enter 0:01 (or 0:1). 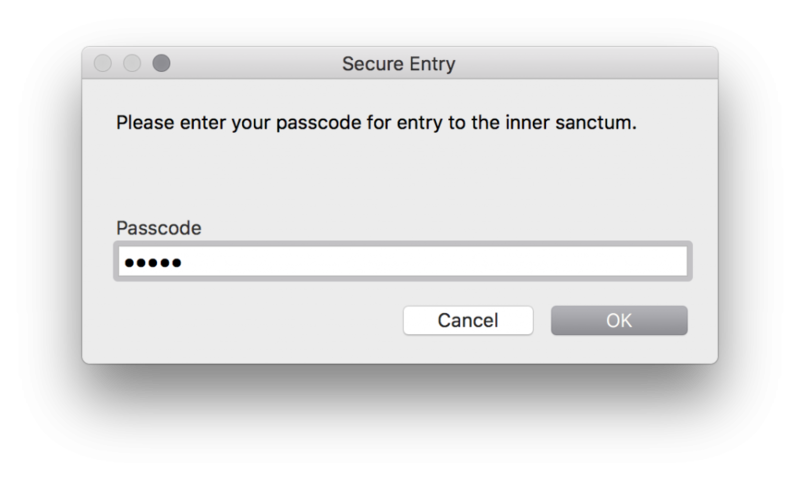 If you enter an invalid number of minutes or seconds (over 59), FileMaker Pro will accept the entry and display the time correctly. For example, if you enter 1:99:99, FileMaker Pro will display 2:40:39. The entry for 99 seconds has become 1 minute 39 sec; the entry for 99 minutes has become 1 hour 39 minutes. All totalled with the 1 hour gives 2 hours, 40 minutes, 39 seconds. Time fields can be formatted to display the time entered in a wide range of formats. When searching time fields, simple numbers are considered to be a number of hours. 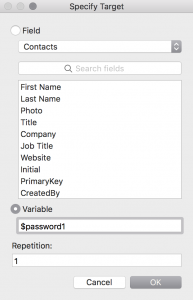 FileMaker Pro constructs a wildcard search. 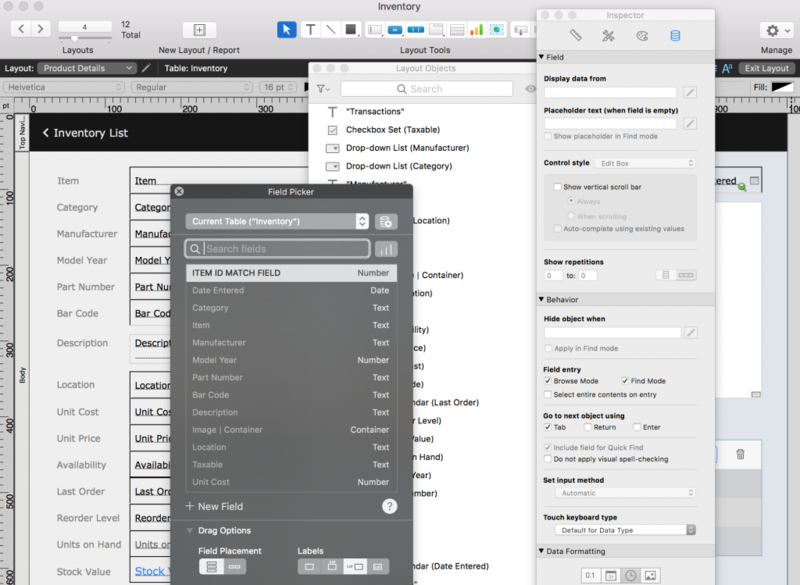 If you enter 4 in a time field of a find request, FileMaker Pro will search for 4:*:*. So the search will return all records with a time of 4 hours and any number of minutes. You can also search for times within a specific hour of the day such as 5pm – this finds all times between 5:00:00pm and 5:59:59.999999pm. Time fields will accept range searches using the ellipsis (…). So you could search for all records between 4:15 and 4:30 using 4:15…4:30. Time fields also accept the comparison operators: > < ≥ ≤ as would be expected. A time search will not accept # for a missing digit (e.g. 4:5#). Timestamp fields store a date and a time combined. 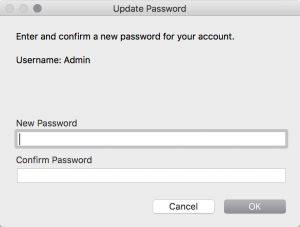 When entering data, you must enter both a valid date and a valid time (in that order). 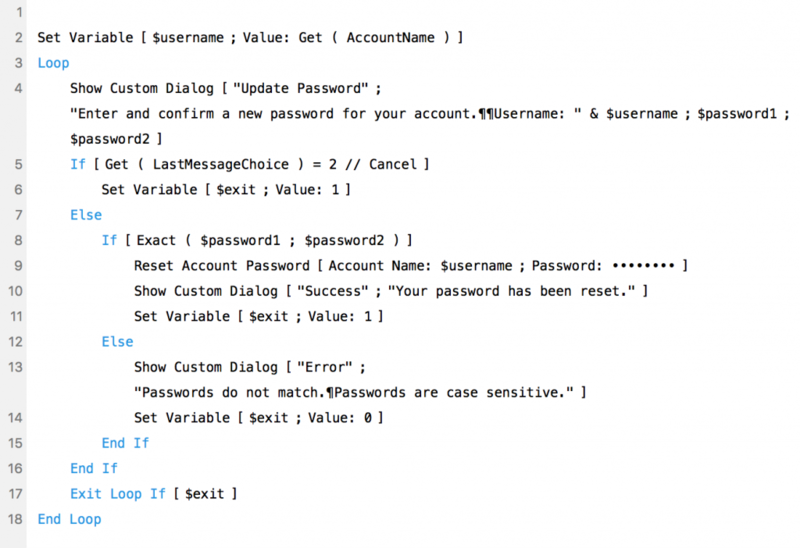 Timestamps are usually populated with auto-entered values (field options or a script step to Set Field). 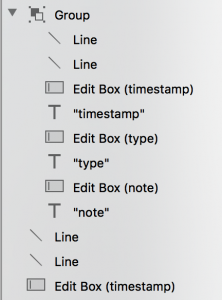 If used in calculations, FileMaker Pro converts the timestamp to the number of seconds since 01/01/0001 0:00:00. As for times, simple maths can be performed on timestamps. Just remember to convert results from seconds into something more useful. Timestamp fields act like a combination of a date and a time field. Timestamps can be searched for dates, times or both. All the rules for date and time fields apply. In the next post, we will look at searches in calculation and summary fields. 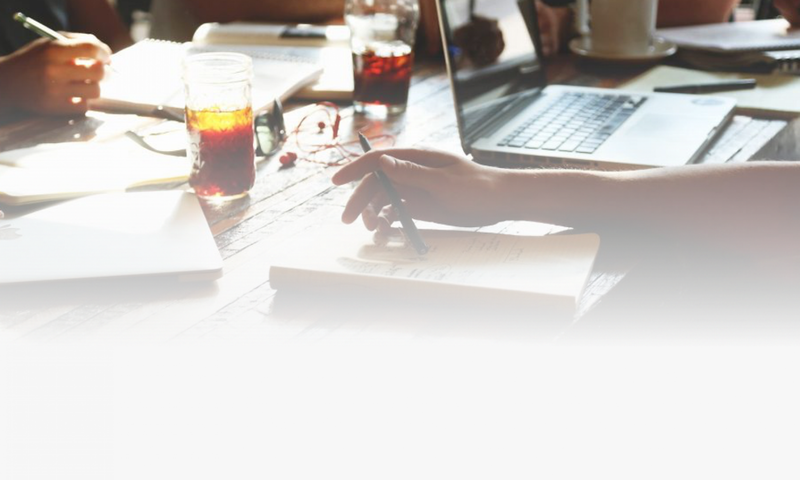 uLearnIT is pleased to offer the Get Started with FileMaker Pro course online. 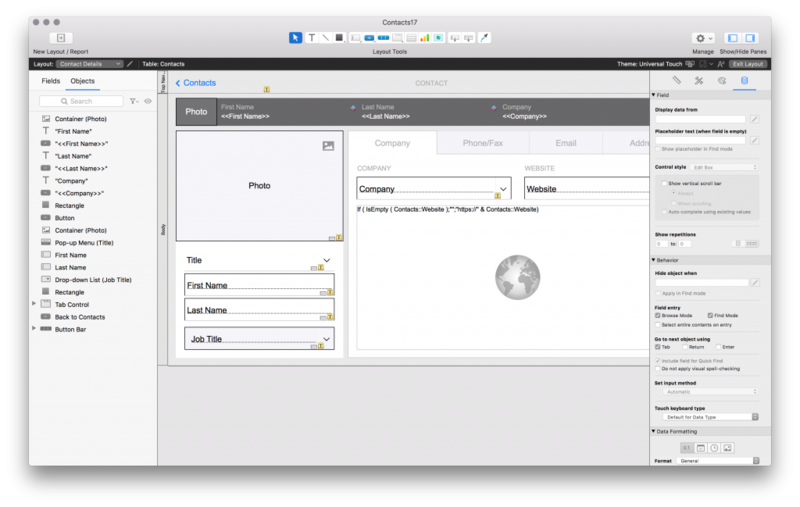 Now you can attend FileMaker training from the comfort of your office desk. This course is presented using a webinar platform. Unlike a video recording or traditional webinar, sessions are designed to be interactive, allowing you to ask questions, take quizzes and to participate in discussions. The course consists of seven sessions, each two hours long. Each session is structured in a similar way beginning with an introduction and covering any questions from the last session. This is followed by content presentation for the session and demonstration of concepts and techniques. Your instructor will introduce the exercises for you to complete between sessions. Each session will end with questions from the group. Session 1 is free and is scheduled four times on Monday, 14 May and Monday, 21 May 2018. The rest of the schedule, sessions 2-7, start from Monday 4 June. All these sessions are scheduled at 10am and 2pm on Mondays and Tuesdays. Get all the details about the online course including the session schedule, content for each session and cost to enrol here. Sign up for either the free session or for the complete course here. 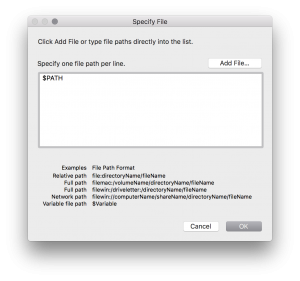 In our first post of this series, we looked at the FileMaker search engine – how to access it, and how it operates. In this post, we will start looking at specific searches as they apply to different data types for which you might search. The article got so big that we had to split it up! We will consider searches in text fields to start. 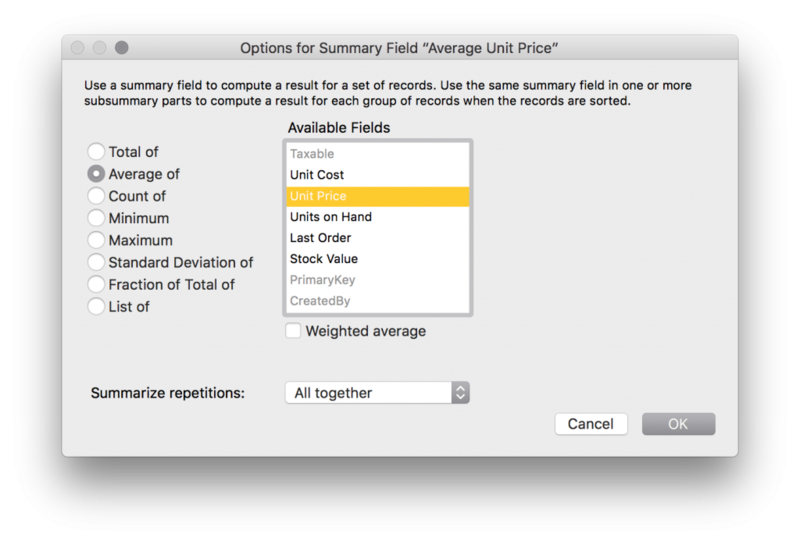 In addition, calculation fields are defined with a data type for the result. 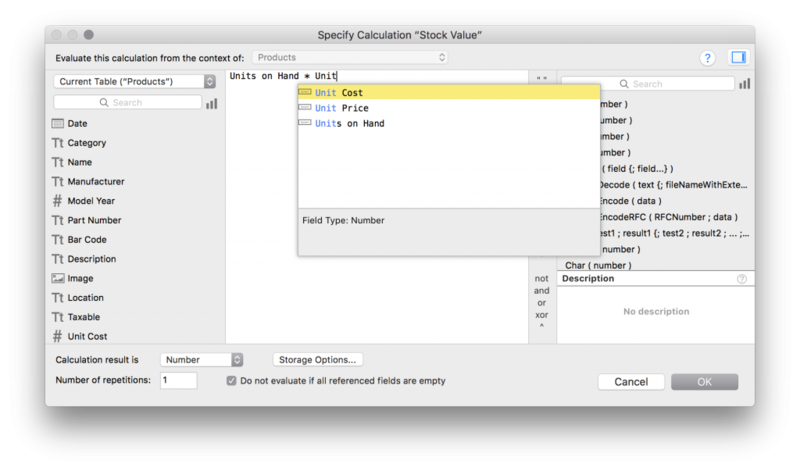 If a calculation field is searched, it behaves in much the same way as a standard field for the specified data type. 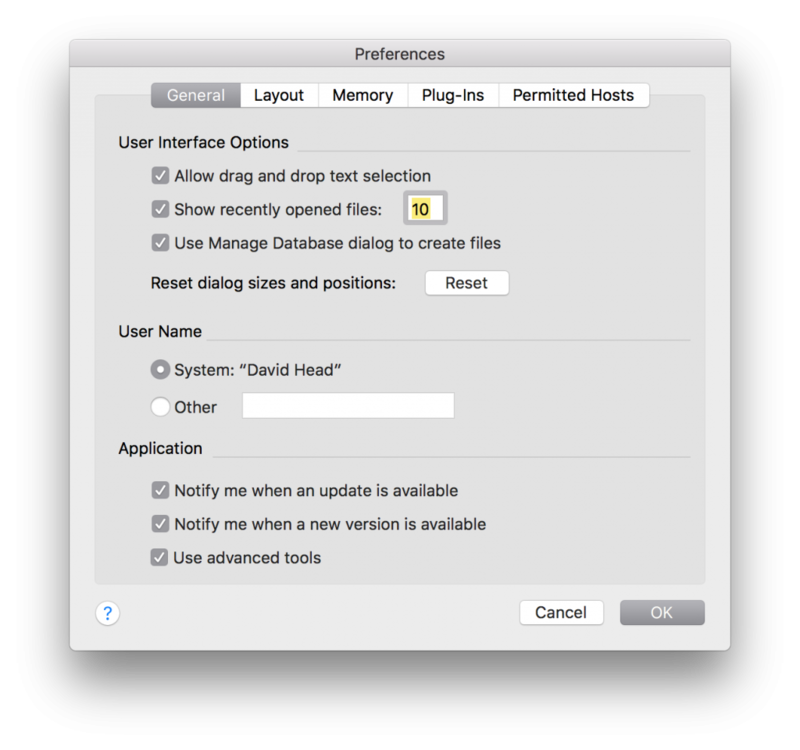 Text fields are the most common field type in databases. 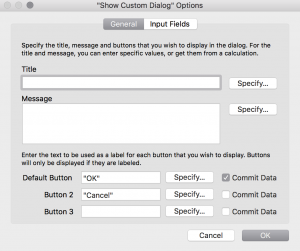 In FileMaker solutions, text is the default data type allowing a ridiculous amount of data to be stored in one field in one record. 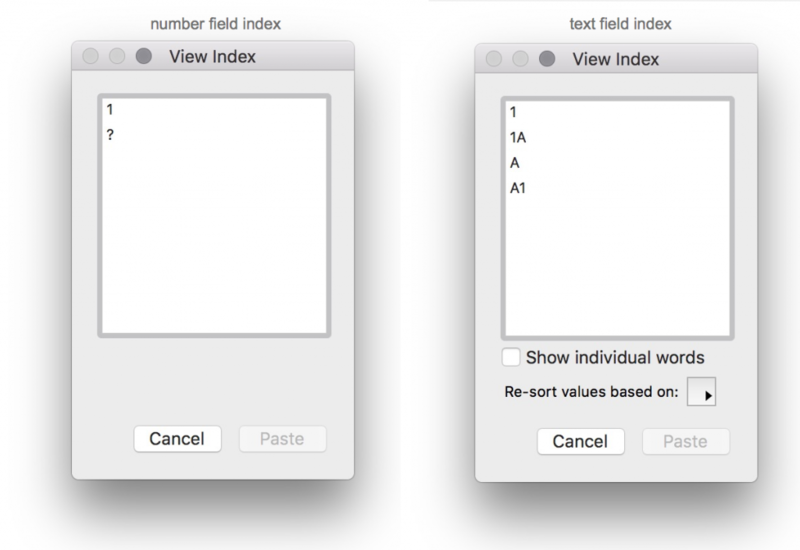 Text fields can store any characters –alpha, numeric, symbols. The default search in a text field is “words beginning with”. So a search in an address field for st will find all records containing any words beginning with “st” – St Agnes Road, Storey Lane, Franklin Street, etc. Note that the word can be anywhere in the field – it is not “data begins with”. The article notes exceptions when characters like the hyphen, colon, forward slash, a single quote and a period (.) are not treated as separators. In most cases, text field searches are not case sensitive. 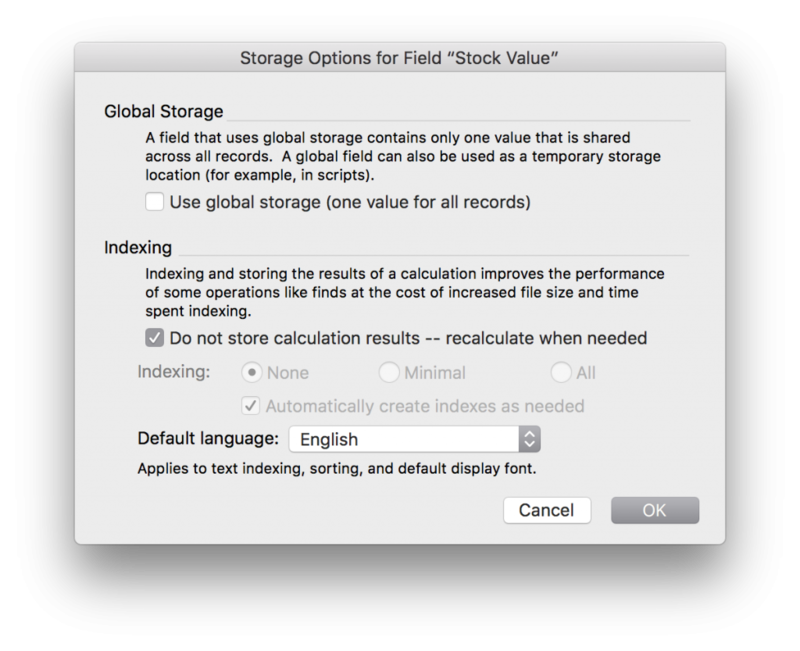 An exception is where the default language of the field is set to Unicode (Field Options – Storage). A search for dar will return the same results as a search for DAR or a search for Dar. So be lazy in your searches and don’t bother with the uppercase. 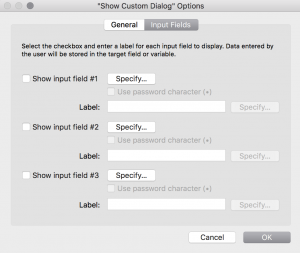 FileMaker provides a number of operators (symbols) to perform searches other than “words beginning with”. The first to consider is the asterisk (*). This represents zero or more characters – any characters. Thus, a wide-ranging search is performed by wrapping a string in asterisks like *dar*. This will search for records where the field contains the string dar anywhere in a word – start, middle or end. Perhaps the most wide-ranging search you could perform is *d*a*d*. This would find any record where the field contains dad in that order but anywhere in a word in the field. So it would find dad, David, dreadful, underhanded, and advantaged. But not addition or biddable. The asterisk is very useful when searching for records that have something (anything) in a field. 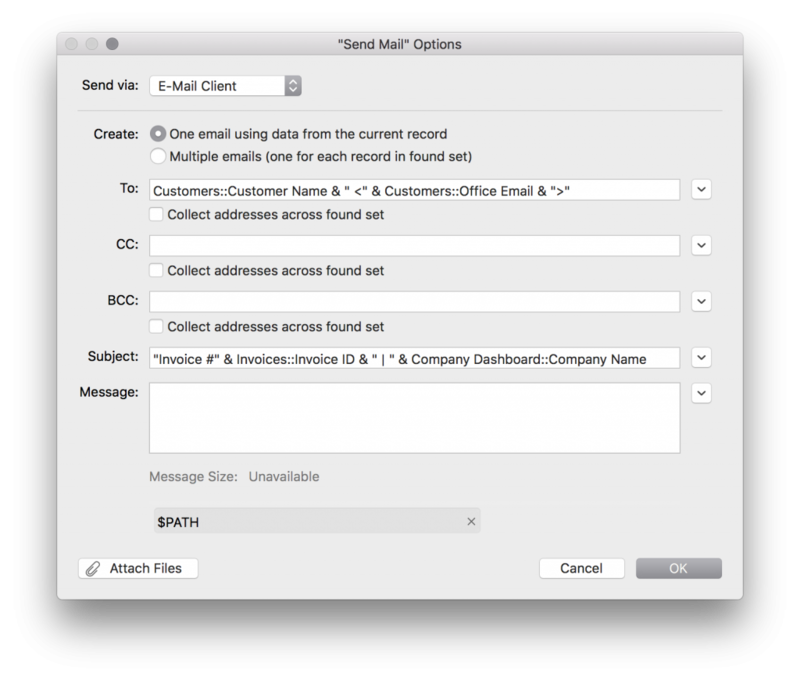 For example, if you wanted to find all contacts with an email address, just type * into the email field and perform the find. The second operator is the at symbol (@). This represents exactly one character. So a search for s@mon will find Simon and Symon, but not Salmon or Simone. Note that when the @ symbol is used, the search is no longer for “words beginning with”. 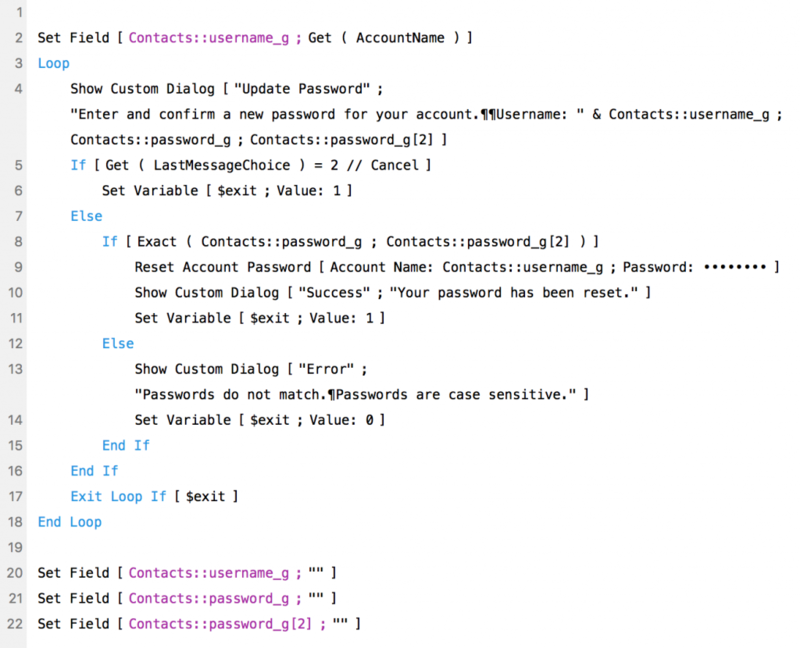 The third operator is equals (=). This searches for an exact word. So a search for =ann will find Ann but not Anne or Anna or Annabelle or Annette. The equals sign is very useful when searching for records with empty fields. For example, enter = in the company field to find all contacts for whom no company is recorded. To search for two exact words in any order, precede both words with =. So a search for =hotel =grand will find both the Grand Hotel and Hotel Grand (but not Grandfather Hotel). The fourth operator is two equals symbols (==). 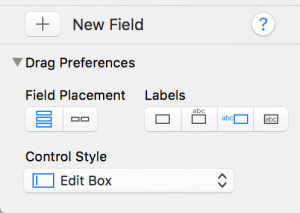 This searches for exact content in the entire field. So a search for ==Melbourne would find records with only the word Melbourne in the field and not Melbourne City or Melbourne CBD. The fifth operator is the double quotes (“”). This searches for a phrase beginning at the start of a word. So a search for “little street” will find all records with that exact string somewhere in the address field but will not find one with Little Bourke Street. A search for Little Street (without the quotes) would find that record since it is searching for any record containing those two words in any order. If you add in the asterisk and search for *”e street”, it would find all streets with names ending in e. In other words, the search starts from anywhere in the field, not just the start of a word. The sixth operator is the exclamation mark (!). This searches for duplicates of the entire field. So a search for ! would find two records with Swanston Street but would not consider Cnr of Bourke and Swanston Street to be a duplicate. So what if you want to search for one of the recognised operators in a field? Maybe you are looking for records containing * or @ or !. The backslash character (\) is used to ‘escape’ the following character in a search. For example, if you search for info@ulearnit.com.au, there would be no records returned even if there was one with that email address. The solution is to escape the @ symbol like this: info\@ulearnit.com.au. If you need to search for a recognised operator, you can also use quotes. For example, search for “@” or “!”. In the next post, we will look at number and date searches.